Pokemon is an undeniable mainstream phenomena, with popular toys, card games, and television and movie series, including a wide range of best selling videogames. 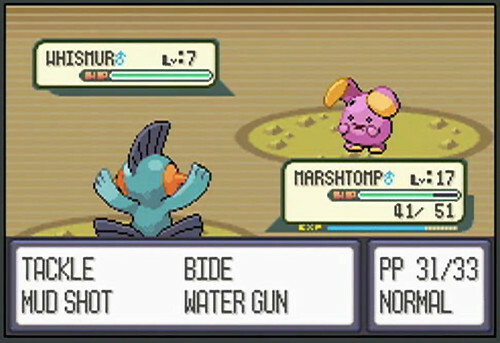 Screenshot showing a battle scene from Pokemon Ruby Version (2003) for the Nintendo Game Boy Advance. Nintendo's popular Animal Crossing series has been called a life simulation or community simulator that offers a virtual world where hours and seasons pass in real-time even when the game is off. As time passes, new activities are introduced. Promotional information from the official Website for the original Nintendo GameCube version from 2001 shown. 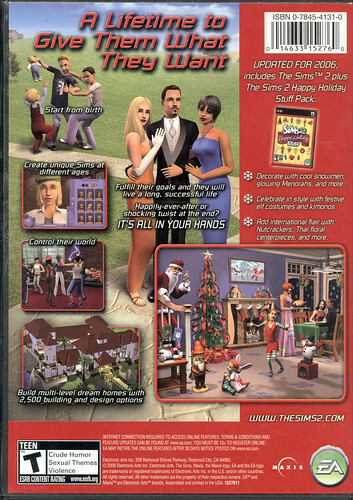 Box back from The Sims 2 Holiday Edition, which includes the complete The Sims 2 game and The Sims 2 Happy Holiday Stuff, which contains 40 supplemental holiday objects. 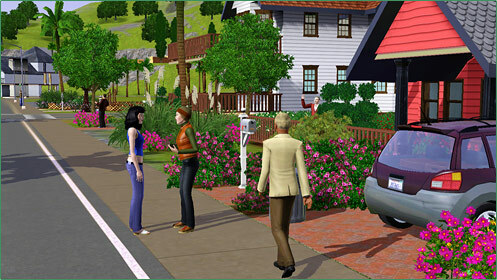 The big new feature of EA's The Sims 3 (2009; Apple Macintosh, PC, and others) is that the game simultaneously simulates life and events in the game world for the town's other inhabitants as the player is performing their own actions.